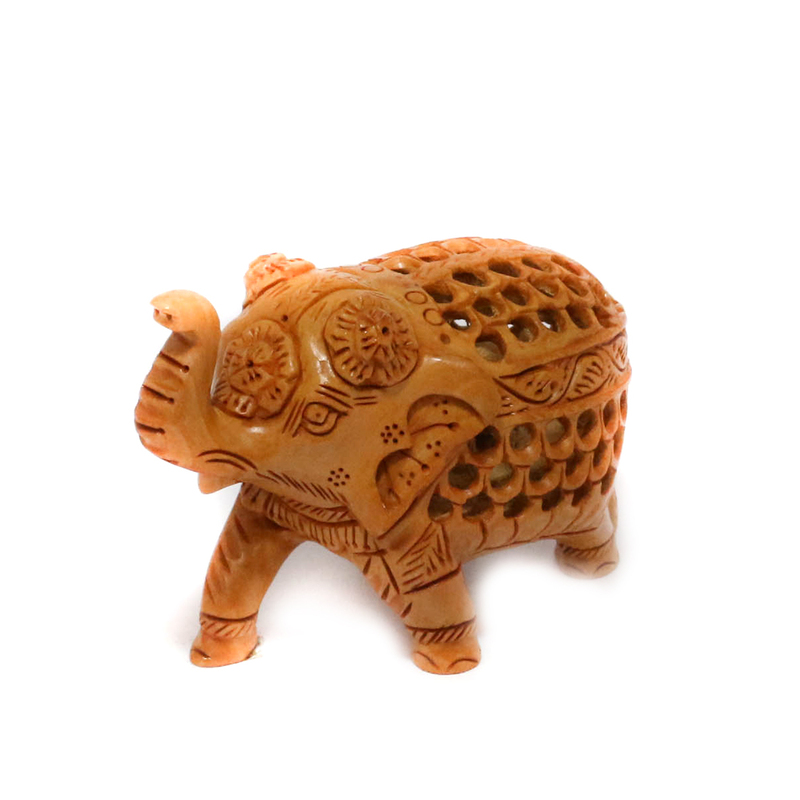 this wooden elephant is all ready to give a boost to your living area. It is so extravagant in its outlook that anyone would admire Read More..its shear beauty. This entire wooden piece is carved delicately giving it a classy and rustic essence. The elephant is in its standing posture with its trunk soaring high. Show Less..